Just to say that the London Printmakers‘ exhibition at the Oxo gallery on the Southbank is only on for another week – the last day is Sunday 22nd May. Opening hours are every day from 11-6, admission free. 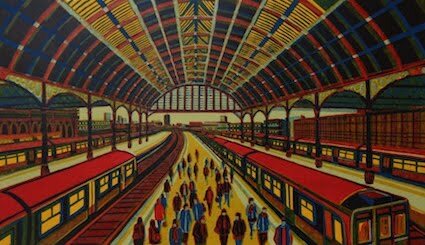 This entry was posted in London Printmakers, New Exhibition, Train Stations by Gail Brodholt. Bookmark the permalink.